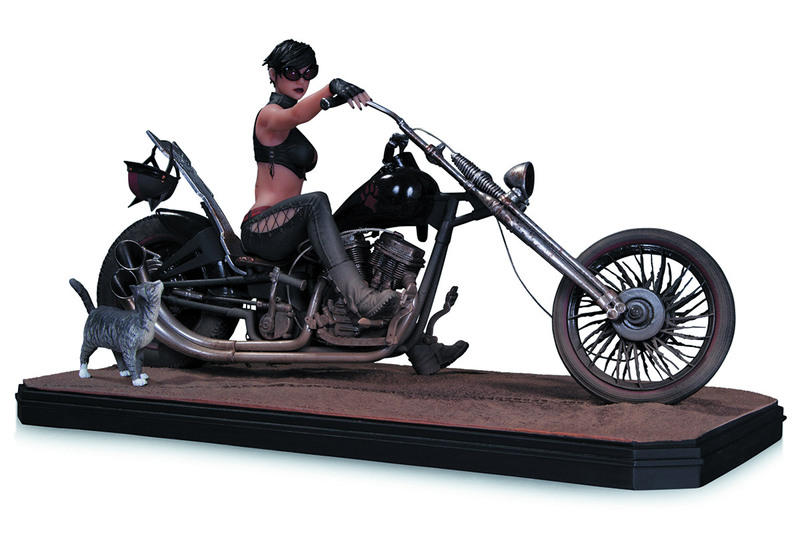 For the past few years, DC Collectibles has released a “Gotham City Garage” range of statues, redesigns of DC’s female heroes and villains by Dustin Nguyen that re-imagined them as tattooed bikers. Now high-end doll maker Tonner is getting its hands on the designs, and basically turning them into Biker Barbies. Due for release next month, the 16-inch-tall dolls are based on Nguyen’s designs for Harley Quinn and Selina Kyle, but instead of being solid statues, they’ve got fancy tailored threads and posable limbs—actually much more moveable than your average Barbie, despite the other similarities. 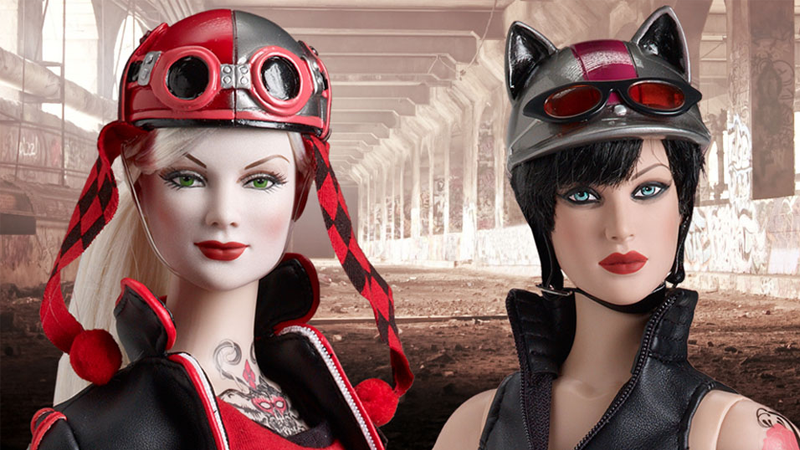 They’re a bit out there for a doll design—but they’re not the first DC dolls made by Tonner, who has turned its hands to the similar statue line (and current awesome digital comic) Bombshells, and even DC-themed costumes for its other lines of dolls. But still, it’s a bit weird to take the Biker designs and... not give them a bike to go with it? Sadly, that’d make these dolls even more expensive than they already are. While they’re not as pricey as the $300 statues they’re based on, at $175 apiece, Harley and Catwoman will cost you a pretty penny if you want them. Maybe stick to the DC Superhero Girls if you’re looking for something more affordable for your kids (or the kids at heart).